A bust that went missing from Houdini's grave in 1983 has been recovered by police from a home in New Hyde Park. This article below by Sumathi Reddy appeared in the March 10, 2002 issues of Newsday. Harry Houdini, that legendary escape artist, reappeared Friday night in the shape of a 2 1/2-foot, stern-faced bust stolen from his headstone almost two decades ago. "[The bust] was missing since August 14, 1983," Det. Lt. Kevin Smith said at a news conference in Mineola yesterday. With it, Smith said, were three newspaper articles, dating from Aug. 15, 1983, detailing the theft of Houdini's bust, then worth $500, from the Machpelah Cemetery in Glendale, Queens. The bust is now valued at $10,000, Smith said. Police charged Stephen Chotowicky, of 1007 First Ave. in New Hyde Park, with third-degree possession of stolen property, a felony, punishable by 1 to 7 years in jail. Chotowicky was arraigned and is being held on $15,000 cash bail at Nassau University Medical Center's detention unit. It was unclear why Chotowicky was at the medical center. The trail to the bust began with Chotowicky himself. Police said he filed a complaint against his son-in-law, claiming he stole some of his tools. Police found the charges unfounded but learned from the son-in-law, whom police did not identify, that Chotowicky had a bust of Houdini. Born Ehrich Weiss, the magician died on Oct. 31, 1926, leaving an ornate cemetery monument that has been vandalized numerous times. 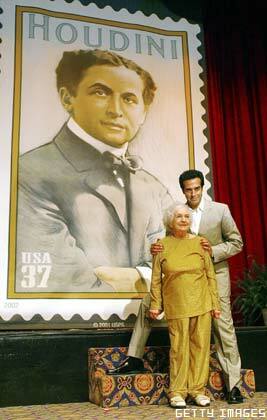 Houdini fans and magicians across the country reveled at the great-escape artist's resurfaced bust. "That's Harry for you," exclaimed John Bohannon of Wantagh, who heads the New York City chapter of the Society of American Magicians' Houdini Committee. "I'm thrilled ... I'm glad he's back. I just hope that we'll be able to get it back and put it back in our archives where it belongs." 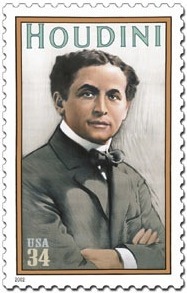 Bruce J. Lish, regional vice president of the Society of American Magicians, said it will make a claim for the bust since the society maintains and monitors Houdini's gravesite and holds an annual service there. Police say the recovered bust is the third one erected at Houdini's monument. 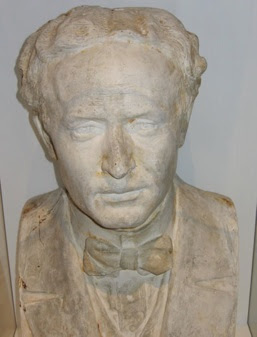 According to police, the original Houdini bust was damaged; a second one disappeared in 1975 and was never recovered; and the third one was stolen in 1983. Bohannon said Houdini had a bronze bust made of himself while alive. He added that a marble copy of that bust was placed at Houdini's cemetery plot after he died, which was either stolen or destroyed in 1975. "The copies were dark gray," he said. "This sounds like it was the original, stolen back in 1975." 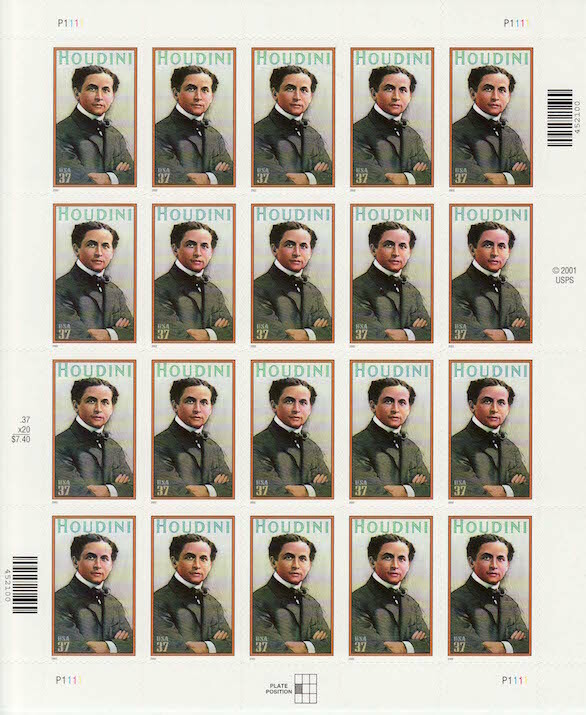 "This is probably priceless now," said John Bravo, co-director of The Houdini Museum in Scranton, Pa. "I'm elated," he added. "I hope they really punish this guy. It's a horror to desecrate somebody's grave." "I think it's amusing because it was gone for 20 years, and then it's found right on this block," said Micky Halpern, 40, a nurse who lives down the street from the family. "Maybe that's what the tapping was on my door," she said, with a laugh. "Houdini's ghost." Tags: Busts, Crime, Graves, Machpelah, S.A.M.